Loyang Valley is a condo project located along Loyang Avenue which is at the fringe of Pasir Ris housing estate. Loyang Valley is accessible via the nearby expressways - Pan Island Expressway (PIE), Tampines Expressway (TPE) and East Coast Parkway (ECP). It takes only 5 minutes or less to commute to the Changi Airport. It itakes about 5 minutes drive or take a bus ride to the nearest Pasir Ris MRT station or even to Changi Airport MRT station. 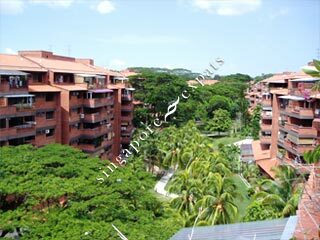 Nearby amenities include Loyang Point, White Sands, Elias Mall. Changi Village, The Japanese School Tanah Merah & Laguna Golf and Country Club. are also located nearby. a lot of greenery, very spacious, as if you are in a resort or village. Excellent environment, resort living, spacious rooms, great for family and epats. Close to amenities. A fantastic resort feel condominium nestled in nature and within walking distance to amenities.